I've always been the person to never ask for help, preferring to do things on my own. But this time, I'm asking for yours. I'm seeking your input on what you'd like to see improved on this blog. Should I change it? How's the layout? Does it take a long time to load? I changed my domain name and starting the slow process of moving to WP. I'm considering switching to Disqus since most of the questions I get are no-replys from WP or Google + accounts. Or should I respond to all comments IN the comments and not via email? I started off the blog with the camera on my flip phone, haha. I've recently started working really hard on improving my pics. Do you like them or should I stick with stock photos and/or collages? I worry sometimes there are too many pics of me--should I show my face more? Less? Is the pic size ok? I've started making them smaller. What would you like to see more of? Less of? I feature tutorials (hair, makeup, nails, techniques), product reviews, DIY beauty recipes, tips/tricks/techniques. 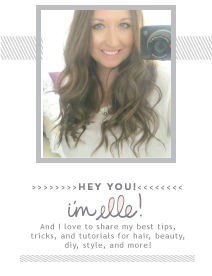 I share drugstore and high-end products as well as keeping tutorials on a beginner-easy level. I post 5 times a week. Would you like less? More? Posts go live between 6-7am EST. Should the time be changed? Anything else you'd like to see changed that's not mentioned above? I know you are very busy, so thank you for your input. I want ElleSees to be your daily source for all things beauty, so all input is appreciated. Have a great weekend and see y'all Monday! The posts where you review products or compare them all together are my favorites. The post with the sheet masks was awesome so keep em' coming! Have a fabulous weekend Elle! I like the more personal topics that you're adding to your blog. I've heard of Disqus working really well for other bloggers so maybe you could try that if you don't like the current version. Extra Elle is my favorite part so I would love to see more personal posts! The page loads quick for me. I like replies in emails, if you replied in the comments would I get a notification or would I have to come back here to check, because I would probably never remember to do that. I like the product reviews, especially the drugstore stuff because I'm cheap, but I know some people arent so I think a mix is the best way to go. I personally love your high end vs. low end comparison posts - they are great for gals on a budget! Let's see if I can remember all, what I thought while reading :) I think your photos are nice, not too big, the blog loads quickly and I like the layout as well. I like DIY recipes and the comments, well Disqus is not my favorite, but I know many people like it. I think that answering questions in the comments may be a good thing, only that sometimes we do not get the answer, having to come to the post again. Not that I have experienced this here, but in general! Can't speak for other readers but what appeals to me most are the times YOU show through. Pictures of you, stories about you, even just casual comments about your day. We visit blogs to see friends. You're the attraction here, to me at least. I love your product reviews. They are always so helpful. interesting you mention the comments -- that topic has been going on in 2 different groups I am in right now. I personally prefer them by email... I will never go back to someones blog to read the answer. Yay for switching to WP - you will LOVE IT!!!!!!!!!! Hey Elle, I love your blog! i think the pictures definitely have improved, so good job on that. And I love hearing about personal stuff too! Some more makeup application tutorials might be nice. I think you work really hard on your posts, and though I love 5 days a week, I think 4 would be fine too. As for comment platform- I have no opinion! You do what works for you! I'm struggling with the same issue with comments. No reply bloggers drive me insane. I love any time you review a product. The comment questions are ones I ask myself daily. I switched to WP and it's hard knowing whether it's better to answer comments within the admin or just via email. Most people aren't notified if I just answer back on the post. Let me know if you need any help or have any questions switching to Wordpress. I'm not an expert, but I know a few little tricks. Don't change the layout! I love how clean and simple it is. :) Have a great weekend! Your DIYs and dupe posts are my faves! I think your page loads pretty well most of the time but sometimes I get an ad that runs over it that won't let me access the page but that might be a 3rd party server thing. I love that you have a variety of posts that you do. Your product reviews, comparisons and DIY are all fantastic! I love that you give little personal splashes here and there at the end too so keep that up for sure. I like to know the blogger. If you change over to wordpress, you wont have to worry about no response bloggers anymore because they have their own comment system with the name, email and site. I personally hate that Disqus emails me twice about every comment I leave on other blogs. I also dont like that I have to go back to the post to keep the conversation going...I prefer it in email. But that is just me. Maybe you can help me - why does everyone switch to Wordpress? I have the hardest time commenting on there. If you do go there, then I do hope you go with Disqus. I like all your pictures - especially the ones with you in them - don't feel like you are overloading yourself on here - its your blog - I think it makes it more personal. If you happy with Blogger, then stay with Blogger, I've been with them for 8yrs now and what I really like is that you can get your comments in your Google+ stream and on most mobile phones. You won't get that with Disque and it will be frustrating. I would like to see YOUTUBE videos inserted in your post showing live swatches and hearing your lovely voice as you tell us your thoughts. I love your blog layout and the variety of topics you post about! The DIY and product reviews are my favorite! I switched to Disqus for comments and it has made responding so much easier. hmm, so many good questions I've wondered about myself! I think you have a great layout and I don't use Disquis on mine but I do like it! Always great to get the reader's perspective. I would really like to do this, too, but feel like I'm not in the right place with my blog right now. I'm not sure how to explain that. LOL. Never mind.... I'm treating the questions in this post like one of my art-crit classes, so hopefully this doesn't come across as "change this, change that".. I love your blog just the way it is!! The layout loads quickly and I love the simple/clean color scheme. The text under the photo (and sometimes the posts) loads quite small on my 13" Macbook Air. It could just be my screen and I can still read it fine, but thought I'd share so you have it to consider. I LOVE DISQUS but hate that it does not sync properly with my blogger homepage after the update. I have to visit the post's direct link and check the comments section like that to reply. I sometimes get emails when a comment comes in and sometimes not.. Depends on how you want to run your comment section if this would be a problem for you. Pictures are great, especially the title in this post!! Love it! The content is also great. I love that you keep the same theme but still change up the content.. Hope that makes sense. Posting I don't notice because I'm so sporadically online and reading other blogs that I really just pop by and look through everything new all at the same time. Sorry if that seems like "do this, do that".. I don't mean it like that... LOL.. Much LOVE!!! Please if you hear just one thing, just say no to Disqus!!!! I legit never respond to any of the follow up comments from the bloggers who use it. I don't want everything on the blog. I want to joke or comment back my thoughts without everyone knowing. I can't watch videos at work so i have a hard time with those and anything over 4-5 minutes is tough. I like the picture sizes and the quality, the mix of high end versus drugstore though I am mostly a drugstore girl. Overall though you just have to do what works for you. I always like your content so I hope you don't change that. It's always such a great mix of everything beauty related and I learn a lot! Your pics are always good, I definitely do NOT think there are too many of you. Design and everything else looks good, but it's up to you. The soft colors are pretty! I honestly don't think you need to change the content or the way you write or photograph things because that's what makes the blog unique to you. Besides, your reviews and posts are always reliable and useful. As far as the commenting goes - I honestly am very allergic to Disquss and only use it because there's no alternative on some blogs. I also think it looks really ugly regardless of where it's posted. On Wordpress... Why did you decide to move over there? I tried both platforms and still prefer blogger. Besides, you can't always use promo links on wordpress in case you'd be interested in using the blog for monetising purposes as well as everything else. Design-wise, I am happy with your photos and never had any problems loading the blog or images. Personally, I went through a period of using small photos, which backfired when I changed blog design and the original images lost their lustre completely. The post timing doesn't bother me - I'll always stop by to read the posts as soon as I see updates on Bloglovin' and I'd normally do this in the evening. :) And just like with photos - I think the number of posts is perfect. There are times when several post a day seems like a good idea - then just go for it. But generally, one a day is great. Hey Elle. I really do like your blog layout, so no comment there:) As for the actual commenting part, I have no preference, although one big thing I notice is that when I comment on Disqus and the blogger comments back, I see that on my e-mail, which is kinda nice. For Blogger, I don't see when someone replies back unless it's a direct e-mail to me. I think your design and layout it is great, but sometimes the ads are a little overwhelming. Like the others said, I like the Disqus let's you know when your comment has been replied to which is always nice. I think your pictures are great and the quality it really good. I stopped reading a few blog because their pictures were super blurry and out of focus. (My blog pics are bad, but I put that in the disclaimer ha!) My favorite posts are product reviews and hauls. I always look up reviews before I buy something, especially if it's on the pricier side. oh gosh I hate disqus find it impossible to comment and avoid blogs that use it. I may read but can't comment. Otherwise I think it looks great! I get the advantage to Disqus because you can reply to everyone (with them getting a notification) but I know someone above said that then your comment conversation isn't private, and I kind of like that. Sometimes my comments turn into longer email strings, which is nice. I don't reply to comments ON my blog, because I just doubt anyone will come back to see if I replied. I would never check back to a post I read to see if someone responded, but that may be because of the sheer number of blogs that I read. I love your layout and your pictures are great! Beauty is kind of low in my interests/priorities but I like that I learn about new things from your blog. I love when you include personal things though! I personally love seeing your face on the blog - it just somehow makes me feel a bit more connected to you (which I know it silly but it's still true!) - and I love all the beauty pieces. This is basically my go to beauty blog. I am not a fan of Disqus personally. I love seeing more photos of you and hearing more about you. I like the updates at the end of posts. Have a terrific weekend! I think you are doing a great job with your blog, the one thing I would say is I HATE Disqus, make sure if you do use to set it up so a user can leave a comment as a guest. I can not tell you how many blogs I have navigated away from b/c they did not do this and Disques MAKES you set up an account with them OR have access to your social media accounts. I hate this. It's the first time I visit your blog. I think it's best to answer comments by email. I never go back to a blog post to check if someone has provided an answer to my comment but I always read the emails. Have a nice weekend! I love your blog Elle and I don't think you need to change anything! Your pictures are great, and of course you should show your beautiful face more!! I've thought about changing my comment to disqus, because I like that it notifies someone when a comment is replied to. But I don't mind that you reply via email! Would love to see more this or that posts, and I enjoy your videos a lot too! Yes to Disqus! It's amazing to get a response via email through the Disqus platform without having to remember to check back to a blog post. You do not show your face too much! If anything, I'd love to see MOAR Elle! It's amazing to get to see how the products look on your skin. Your Zoey D. halloween look from last year is still a huge fave of mine because seeing you face and your awesome explanation showed me how to create a round eye! I always like the pictures you take of products, and your video editing skills are money lately! Like total PRO! I will genuinely miss coffee and chit chat so I hope you work them in to monthly faves/fails or empties or something. Coffee and chit chat was such a trademark Elle thing and it showed off your adorable personality! Can't wait to see what you come up with - and thank you for asking for our input! Your looks, this v. that and DIYs are exceptional. I too have been thinking about my comments and I use Intense Debate right now. I prefer replying in the comments and also sending an email to the person with the comment, too. That way they actually see it. I don't think many people go back and read replies in your comment stream in your post. I have also thought about switching to Discus from Intense Debate, but not sure yet. I post 5 days a week, too and I think it is great, but it is also exhausting for me. For the number of comments, I would do what works for you!! I love your layout and pictures! I like Disqus (even though I don't use it on my own blog, I should now that I think about it). But I like it on other blogs and like some other people have said, I like that you know when a comment is replied to. I personally like your layout and photos! I think the switch to Disqus really is a personal choice. Sometimes it takes a while to load for me to leave a comment, so I've never installed it on my blog--I just reply to each comment on the post. But it's super-convenient when it does work! I love what you've got going on right now. The only thing I would agree with is moving to disqus. Personally, I love the way it manages comments. I have no complaints, especially about your content! You have amazing content and you truly are my go-to for beauty. I trust you Elle! I use Disqus though and really like it. I have tried about a million times to change my profile so I'm not a no-reply blogger commenter, but for some reason I still show up that way sometimes. So I'd vote for Disqus! I absolutely adore your template. I think your blog is great, and I really can't think of anything I would want to change. I love your DIYs and reviews! I'd actually like to see answers to questions in the comment box. There were a couple of times that I had asked questions, and I came back to look for the answer. (I know, I should have provided my email address). It would be very convenient to just come back to the post and have the answer there. I think I'd also like to see a list of posts on the sidebar, just so I can see what I've missed from the week. Everything else is great! Love the simple clean design. The side bar appears on both sides and might look cleaner and easier to navigate on one side. I like your more personal posts and product reviews and love your photos. Disqus is great because it's such an easy way to get back to people. I love answering questions, reaching out, but never want to go to every single post to do so. Disqus allows me to do it in less than 5 minutes! I love your in depth makeup reviews. I mean, you dedicate months to a product most people make their mind up about in a week. I've also never ever had a bad product recommendation from you. In fact, you've made me revisit a few things I didn't like with new perspective and they are every day staples! Sometimes we judge our content and think what we are doing isn't good enough. With sooooo many bloggers out there it can get intimidating really quick. Just stay true to yourself and people who know you're the real deal will stick around. (: Much love and feel better Elle! I like your mix of content! You review a great range and have fun DIYs too. You post more than I can keep up with, but do what makes you comfortable. I like Wordpress' ability to reply to comments (with the reply plug-in). Disqus can be a little weird sometimes but is better now. Blog layout is great and doesn't take a long time to load. I really appreciate your responses in email when I ask a question on your blog. I keep up with so many blogs that it's difficult to remember to check back to see if a question I asked on a previous post was answered or not. So even if you begin responding in the comments, I'd love it if you still emailed the responses as well. But of course you should do what works best for you! Definitely not too many photos of you! 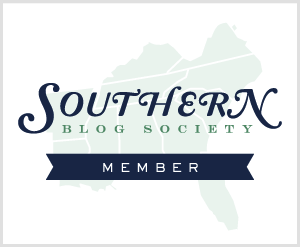 I love seeing the blogger behind the blog! I like your content mix. Tutorials, product reviews, and tips are my favorites. And I love when you share drugstore brands that you like as well since I tend to not spend a lot on makeup. I like your design and the layout! It does not take too long to load for me at all. I am not a fan of wordpress, I personally find a lot of them not very user friendly... but there are others that are done really well and easy to navigate, so i am sure you will do it fabulously. i also don't like disqus. haha. i don't like it as a commenter, but that's because i am used to emailing back and forth with people and i don't like to go back to someone's blog to keep the conversation going, and more often than not, i won't. however - like you said, you get a ton of no reply bloggers so i actually think that is a brilliant solution for you. i think your pictures are always amazing! i love photos that people take themselves, rather than stock photos etc. there is so not too many pics of you! you could definitely show your face more. i like the size of your pics - not too big and not too small. i hate when some blogs make them so small i have to squint to see them. or perhaps i should just wear my glasses lol. I love everything you post, even if I can't relate to it, I still love to read it. I probably pay more attention / remember the ones I can relate to (budget products, easy hacks etc). I am not and never will be a DIYer, but I love to read your creative ideas! You also have such mind blowingly awesome tips / tricks that i would never think about so I've learned a lot from you!